Indochina comprises the territory of Cambodia, Thailand, Laos, Myanmar, Vietnam and the mainland territory of Malaysia. Why Indochina? Because the land is between India and China. It was later on called French Indochina when French colonizers in Vietnam began expanding their colony to neighboring countries. In this 2-week suggested itinerary, you will see most of Indochina’s key attractions. 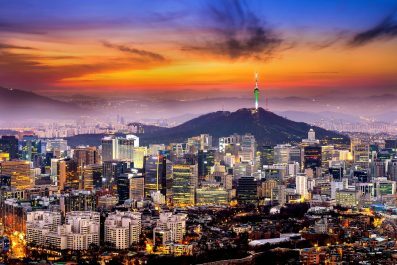 There are of course numerous other destinations in this part of Southeast Asia so you might want to mix and match the suggestions below to create your own itinerary. Assuming you had to cross an ocean to get to Cambodia, your first day will be rife with jet lag. Take a flight that arrives in Siem Reap International Airport as early as possible and check into your preferred hotel/hostel. Allow yourself to recover in the morning and just spend your time wandering through the streets in the afternoon. You may also arrange your tours for the next two days. At night, avail a buffet dinner with Apsara Dance Show. 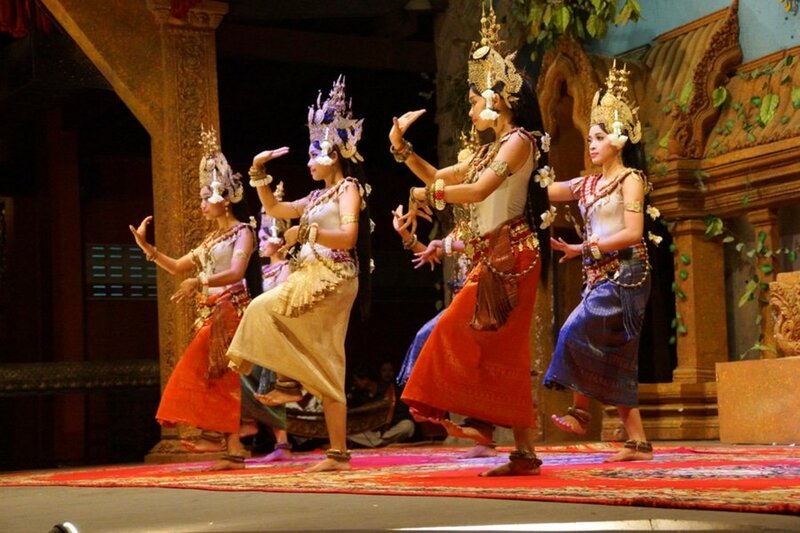 Apsara Dance is a traditional Khmer dance which goes back to the time of King Suryavarman II, the builder of Angkor Wat. After the show, you may wander through Pub Street and try their 1 USD beer. You may also get foot massages and go shopping at the night market before you go back to your hotel/hostel. On your second day, leave before dawn and wait for the sun of the new day to appear on the horizon in Angkor Wat. Waiting for the sunrise is probably one of the most fascinating experiences you could get in Siem Reap. 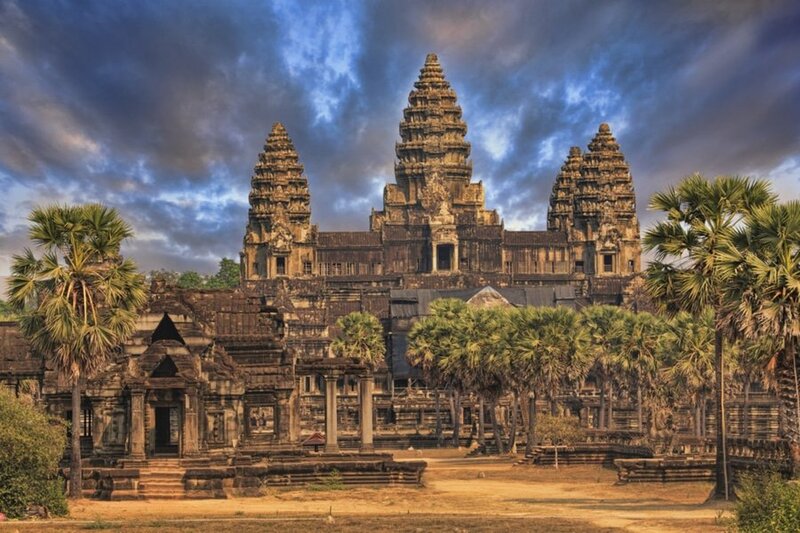 Spend the entire morning in Angkor Wat and learn about its history. It is recommended to get a tour guide at least for one day so you could learn what the thousands of intricate stone carvings mean. You will learn some interesting facts about the Hindu mythology, Hindu epics, wars and so much more. You will also see hundreds of Apsara stone carvings in Angkor Wat, the same Apsara depicted in the dance show you’ve seen the previous night. At lunch time, ask your tuk-tuk driver or tour guide to take you to a local restaurant serving Amok, a traditional Khmer dish served in a coconut shell. Then continue your tour at Angkor Thom, the fortified city of the last great capital of the Khmer empire. Some of the most significant monuments here are Bayon, Terrace of Elephants and Baphuon. Angkor Thom is much bigger than Angkor Wat that’s why exploring this part could take half a day. 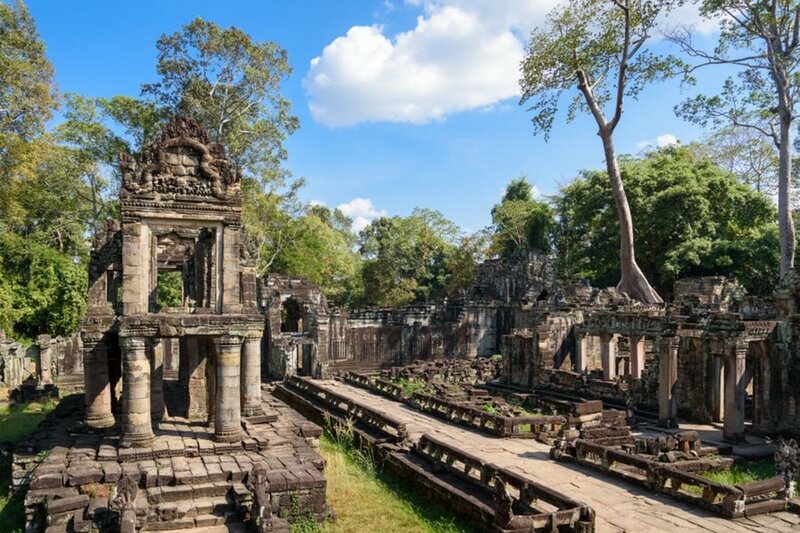 Start early and head to Preah Khan, considered as a second city in the Angkorian empire at the time of King Suryavarman II, builder of Angkor Wat. To the eastern side of Preah Khan lies the 3 kilometer long Baray (reservoir), which has the Prasat Preah temple at its center. 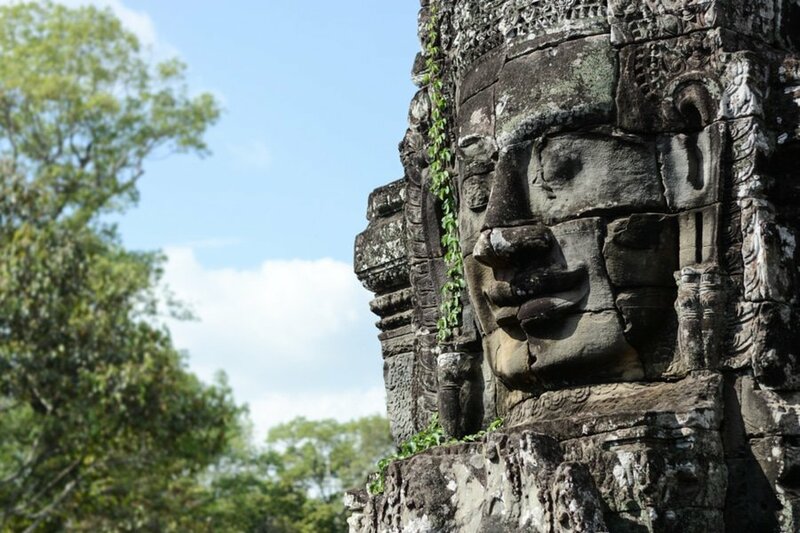 After lunch, consider exploring the rest of Angkor Thom. Visit Ta Prohm, a temple located east of Angkor Thom. 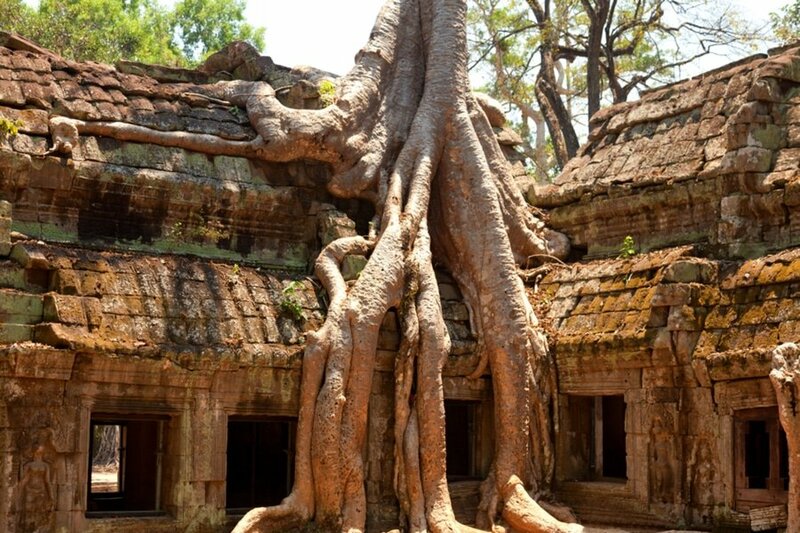 Unlike the other structures in Angkor, Ta Prohm was maintained in a state of ruin, with trees interlaced among the temples. Apparently, this temple was left in this state so that visitors would see how most of Angkor looked when it was first discovered. There is currently no direct railway service between Cambodia and Thailand. Although, it’s a lot easier to get to Bangkok from Siem Reap than it was in 2000. To get to Poipet (Cambodia/Thailand border) from Siem Reap, take minivan, bus or a shared taxi. It is recommended to avail a direct bus from Siem Rep to Bangkok so you won’t have to look for another transportation option once you get to the Thai side. 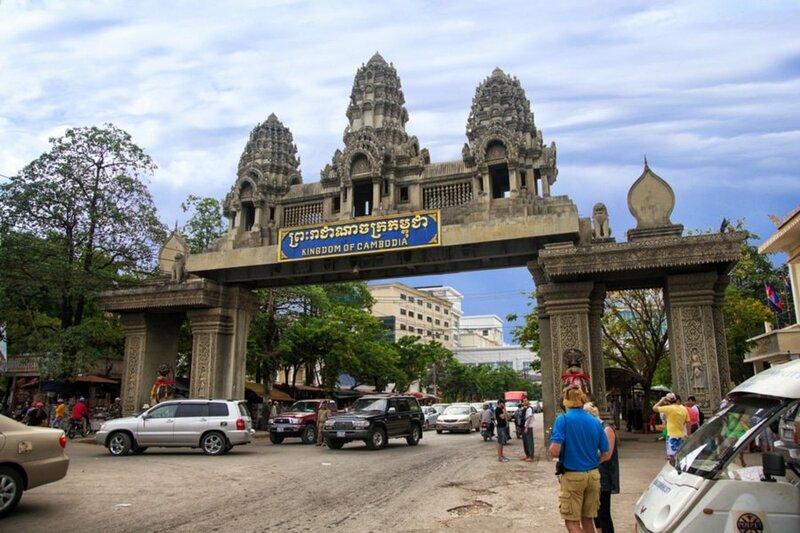 Get your passport stamped on the Cambodian side then, proceed to Thai border post to get your Visa on Arrival, have your fingerprints scanned and your passport stamped. 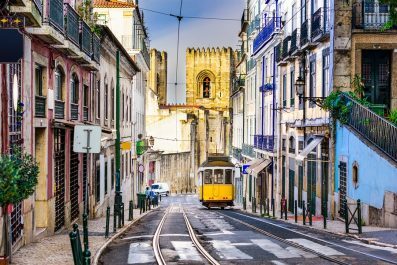 Travel time is approximately 5 hours and a one way bus fare is around 29 USD. Check in and relax at your hotel and in the late afternoon, get a tuk-tuk to start your snack tour in Bangkok. Here, you will find some of the most authentic street food in Thailand. 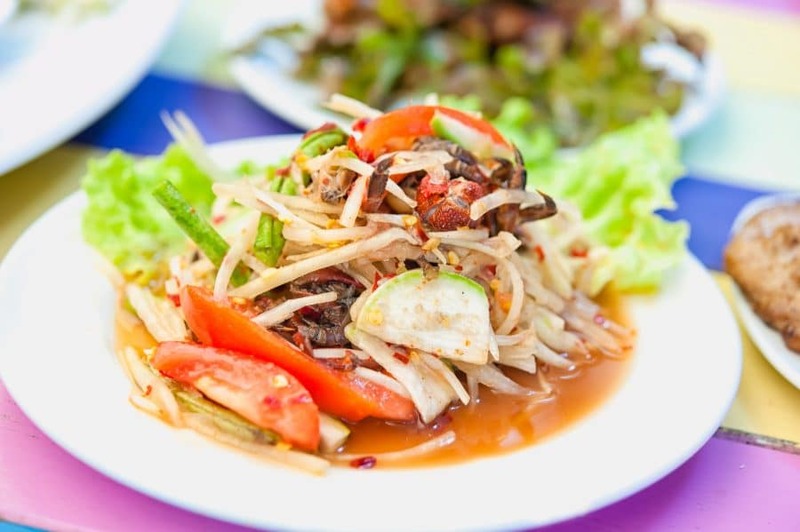 Some of the most popular street food dishes you should try are Som Tam (Papaya salad), Pad Thai Kung (Noodles with shrimp), Gai/Moo Bing (Grilled chicken/pork skewers) and Pad Krapao Moo (Stir-fried pork with basil). Street food is found all over Bangkok, but there are several hot spots where you will find an abundance of food to try. Check out Chinatown, Khao San Road, Bang Rak and the Old City. While times may have changed and some traditions may have already been touted as passé, visitors in Bangkok can still enjoy the country’s innocent charm, rich culture and exquisite food. Bangkok is truly a perfect blend of the traditional and the modern. 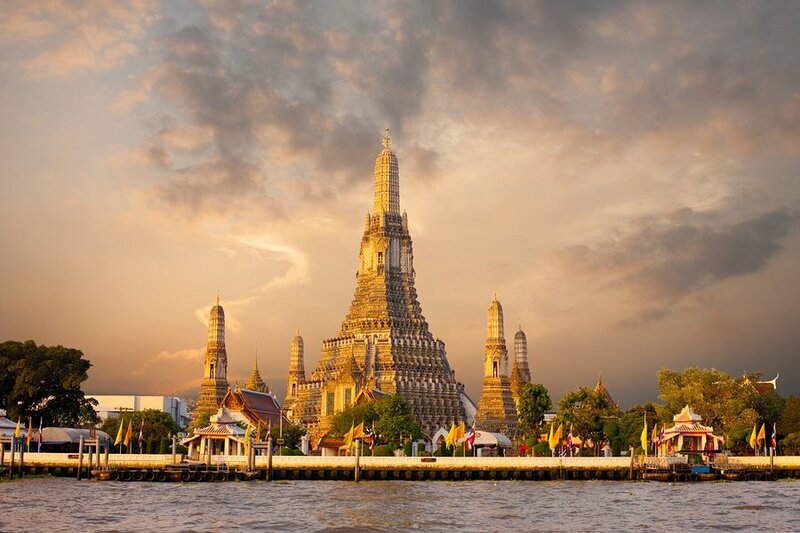 On day 5 and 6, explore some of the famous attractions of the city like The Grand Palace, Wat Phra Kaew (Temple of the Emerald Buddha) and Wat Arun (Temple of Dawn). 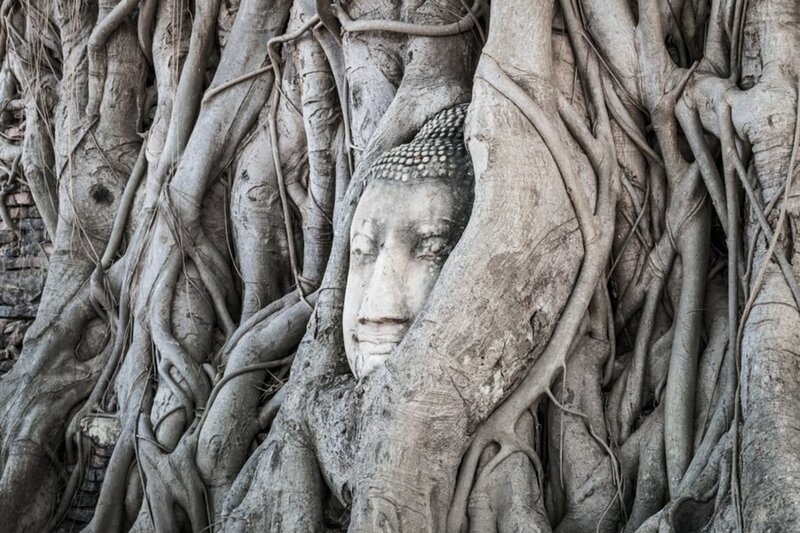 You may also go on a day excursion to Ayutthaya (we highly recommend hiring a driver and a tour guide from Tour With Tong. A full day trip to Ayutthaya and a stop at the Elephant Camp costs about 120 USD), declared a UNESCO World Heritage Site in 1991. 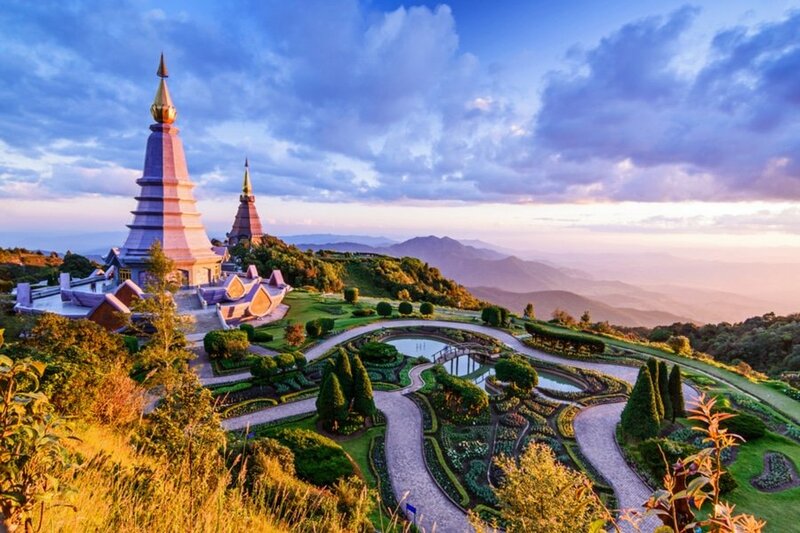 Today you are heading to Chiang Mai, a city in the mountainous northern Thailand. There are plenty of travel options from Bangkok to Chiang Mai – bus, overnight train, hiring a car or flying. One-way airfare starts at 23 USD so it is not really worth it taking the train in order to save few bucks. Chiang Mai is known as the center of culture and tourism of Northern Thailand thus it is a bit overrun by tourists. Despite being a bit touristy, it is certainly a good place to stay in which will give you access to off the beaten destinations out of the Old City. Please note, getting to off the beaten sites in Chiang Mai requires wheels of some sort. So if you know how to ride a motorbike then it is a perfect way to explore Chiang Mai! To get to Chiang Mai from Bangkok, you can book a direct flight, take an 11 hour bus ride or an overnight train. Thailand is one of the most popular tourist destinations in the World and finding a place away from the crowds can be challenging. Chiang Mai is a place where you’ll definitely experience the laid back life of Thailand and get more of a real feel for Thai culture. 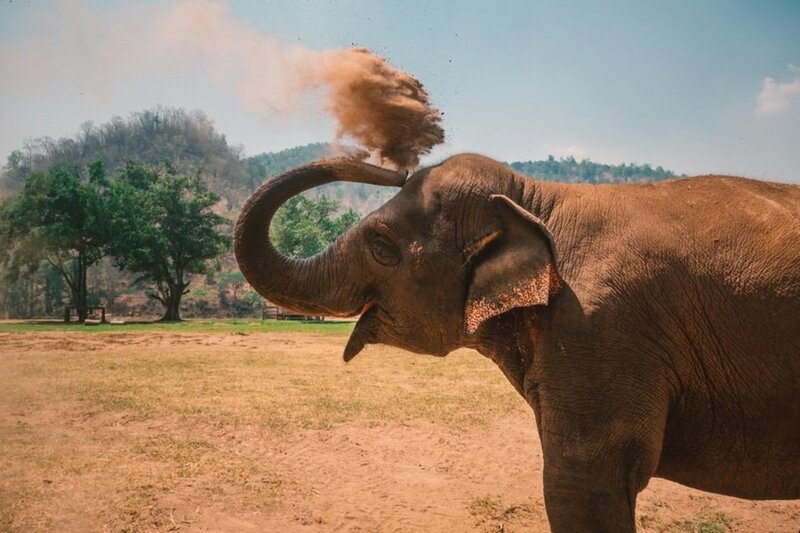 Some of the attractions you can explore in this city are Wat Prathat Doi Suthep, Doi Pui, Doi Inthanon, Wat Chedi Luang, Chiang Mai Gate Market and Elephant Nature Park. Taking a bus from Chiang Mai all the way to Hanoi, Vietnam is highly discouraged. This journey on a not so comfortable bus will take 2 days and will go through Laos. There are currently no direct flights between Chiang Mai and Hanoi, so you have to book a flight from Chiang Mai to Bangkok, then Bangkok to Hanoi (one-way airfare starts at about 80 USD). On day 11, start early and eat at one of the sidewalk restaurants in Hanoi’s Old Quarter. Then, make your way to the Temple of Literature. It is one of the oldest sites in Hanoi and was once the site of the Imperial Academy, Vietnam’s first university. Aside from beautiful architecture and artifacts, this is also a perfect place to learn about the Confucian and Chinese roots of Vietnam. A visit to the Ho Chi Minh Mausoleum is also a must. This large memorial is dedicated Ho Chi Minh, which contains the embalmed body of the most iconic Vietnamese leader. In the evening, watch the Water Puppet Theater Shows. Not only this a good alternative to shopping and sight-seeing, it will also provide great entertainment as well as an opportunity to learn about this age-old art of North Vietnam. What makes this performance amazing is that it is distinctly Vietnamese – the ancient legends, folk tales, music and setting. 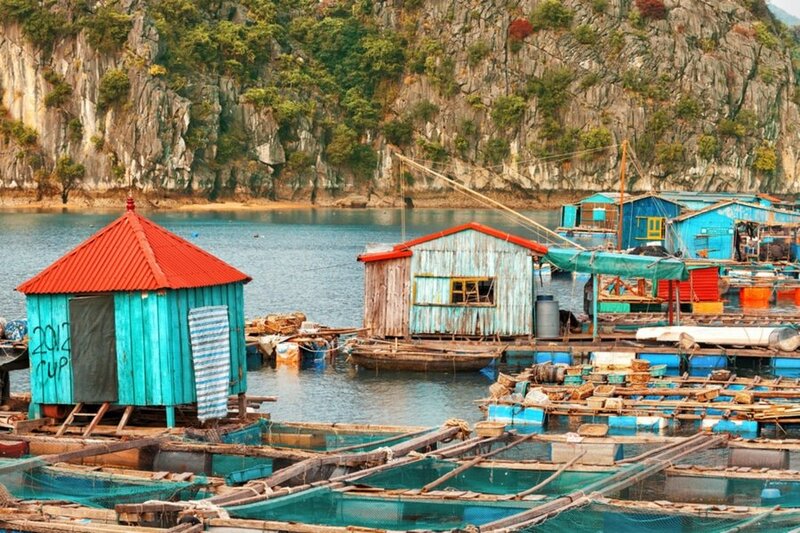 Embark on one of the most interesting day trips out of the city by heading to Halong Bay. It is perhaps the most famous tourist attraction in Hanoi, but it is no wonder why. This picturesque destination is rich with biological and geological diversity enough to be recognized as a UNESCO World Heritage Site in 1994. 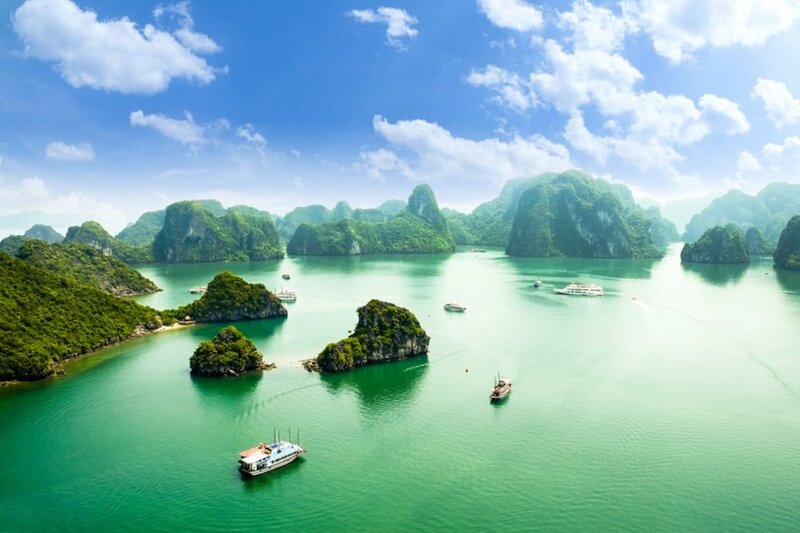 The best way to explore Ha Long Bay is through boat tours and sea kayak expeditions that will take visitors to thousands of towering limestone islands topped by lush rain forests. On day 13, go on a gastronomic adventure in Hanoi and learn about Vietnamese culture. 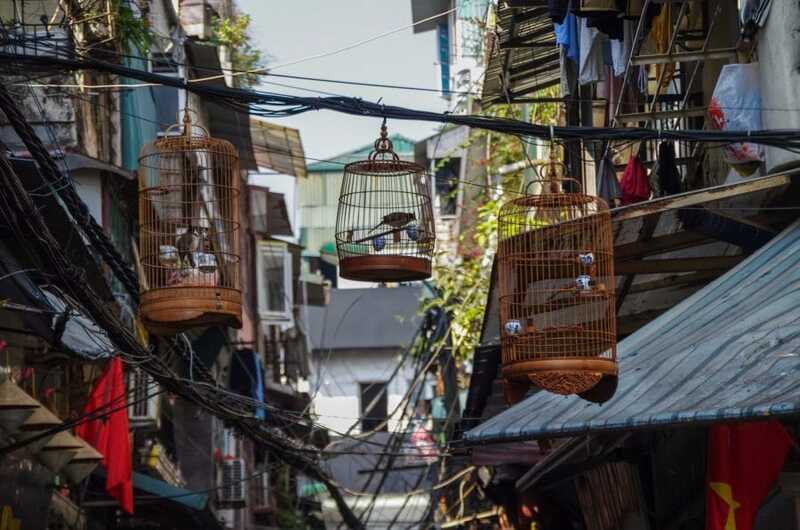 Stroll through hidden alleyways and bustling markets of Hanoi’s Old Quarter. Here, visitors can sample delicious Vietnamese cuisine and try local specialties with influences from French and Chinese Cuisine. Try Hanoi’s version of Pho, the de facto national dish that originated in North Vietnam. Cafe Sua Dua (Coffee) is another must try which is perfect whether hot or cold. Today marks the end of your adventure in Indochina. 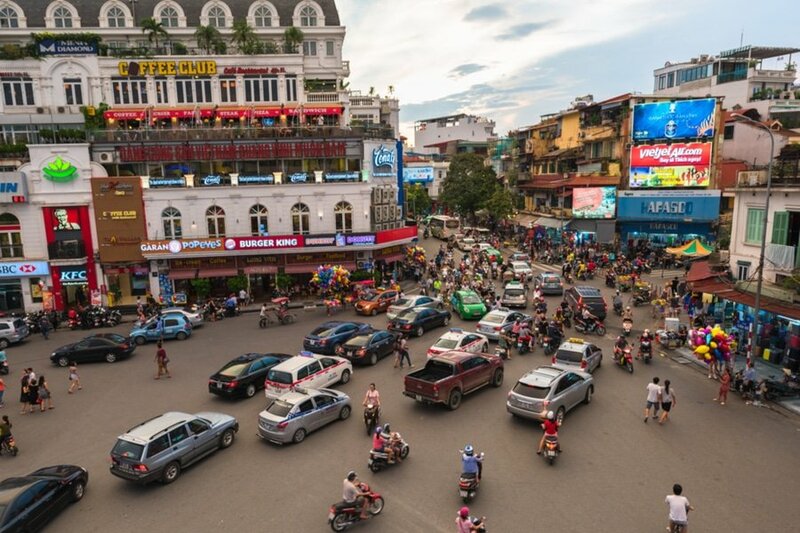 Taking into consideration that you most likely stayed out rather late the other night, you can start your last day in Hanoi at around 10 to 11 in the morning. 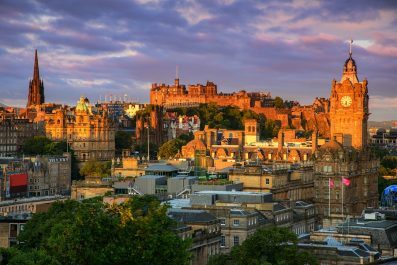 If your flight is in the evening or late afternoon, explore the city for other attractions you might have missed. Fit in one last amazing lunch or dinner in the city. You could even squeeze in some souvenir shopping at Hanoi’s Hoan Kiem area (the are is considered Hanoi’s Downtown) before you travel to the airport. Head to the airport in time to check in for your international flight home, or you may opt to continue traveling independently in other parts of Indochina, or extend your stay in Vietnam. The decision is all yours! This is the end of our 2-week suggested itinerary to Indochina. The sequence of activities and attractions above is just a guide and you can definitely change it to suit your interests. Travel to Cambodia, Thailand and Vietnam when you are ready because it is definitely not for everyone. Go with your eyes open and experience the charm of Indochina. Have you been anywhere in Indochina? Do you have any tips or suggestions to share? If so, you can leave your comments below.